Detroit Medical Center has received federal approval for a corrective action plan in response to a surprise inspection in January in which Medicare hospital quality inspectors found numerous violations of federal infection control and patient safety rules. The violations the inspectors reported included failure to maintain enough sterile surgical equipment for surgeons, insufficient cleaning of dust in sterile areas and lack of containment of refrigerated medications. 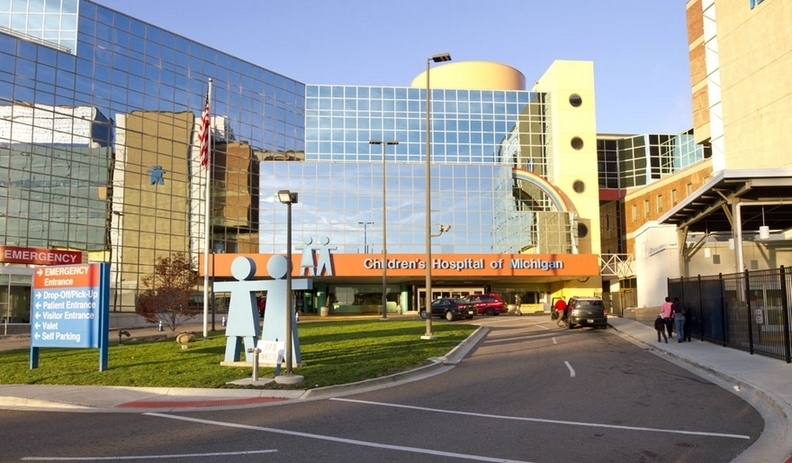 DMC hospitals cited were Children's Hospital of Michigan, Detroit Receiving Hospital and Harper University Hospital, according to the report from the Centers for Medicare and Medicaid Services. "As part of this process, CMS will conduct a follow-up survey to ensure DMC is in compliance with the Medicare Conditions of Participation for hospitals," according to an statement emailed to Crain's from the DMC. "We will continue to work collaboratively with CMS until all matters are resolved." - Reorganization of the central sterile processing department. - Creation of an instrument assessment and inventory process. The DMC email added: "We are continuing the efforts that the Perioperative Council put in place in the fall of 2016 including daily discussions with clinical and hospital leadership. Additionally, enhanced staff training and education is ongoing." DMC's problems with sterile surgical processing were uncovered by a six-month investigation and Aug. 26 report by The Detroit News. State and federal regulators found a variety problems at DMC's downtown sterile processing department that serves four hospitals. Last fall, CMS announced that DMC had corrected more than a dozen violations of regulations covering employee and management training problems, lack of documentation and various infection control practices. But in January, the News reported that more dirty surgical tools were found by surgeons. "While recent findings have shown areas for additional improvement in our CSP department, I have seen a consistent effort on the part of our DMC team members to ensure that our surgical services continue to be safely delivered with the highest quality of care," Joseph Lelli, surgeon-in-chief at Children's Hospital, said in an email to Crain's. "I'm encouraged by the changes made thus far and look forward to being a part of the positive efforts moving forward to create a world-class CSP department." In its 23-page corrective action plan submission, Children's Hospital responded to a variety of deficiencies. For example, inspectors found staff were not always wearing protective gear and surgical areas did not having sufficient numbers of instruments to start surgeries, especially on weekends. Surgeries were delayed because of surgical tray problems, which included discoloration on instruments, which staff concluded were rust problems. Biological tests were negative. Before one surgery, a hemostat was discovered to have dried blood, which forced a 10-minute delay in order to secure a clean one. CMS inspectors interviewed central sterile processing staff and received comments like: "We are just like every department. ... spread too thin and not enough help." On how often dirty surgical trays are picked up after surgeries, a staffer said every 30 to 60 minutes. "We do not have enough staff at all to get everything done," a technician said. "We often are stopped from processing trays to pick up carts" in surgery areas. In the 6-page Detroit Receiving action plan, deficiencies included sterile processing technician emptying a suction canister full of bloody fluid without protective shield or mask. Flash sterilization rates were higher on Mondays and Thursdays because of busy surgery days and insufficient numbers of staff. For example, central sterile processing employs 89 workers, but only 24 are scheduled to work weekday shifts, said a staffer. On Jan. 30, however, 13 technicians were absent because of vacations and call-ins (sick). The next day, Jan. 31, 14 technicians were missing. CMS inspectors asked why aren't more hired. "All positions with the department had been filled," said a supervisor, adding that hiring qualified technicians is difficult. In its 10-page corrective action plan, Harper Hospital was cited for failure to maintain a sanitary environment and noted that two of 20 surgical trays examined were found to have problems and "potential for infections." One technician was asked if she had seen dirty instruments recently. "About three weeks ago I found a dirty bladder blade." She told the charge nurse, who said pictures were taken of the instrument and a report filled out. But CMS inspectors could not find the report in files. For its deficiencies, DMC could have faced possible expulsion from the Medicare program, which could cost the investor-owned hospital system hundreds of millions in federal and state Medicare and Medicaid funds. "Detroit Medical Center submits corrective action plan on sterile surgical problems" originally appeared in Crain's Detroit Business.